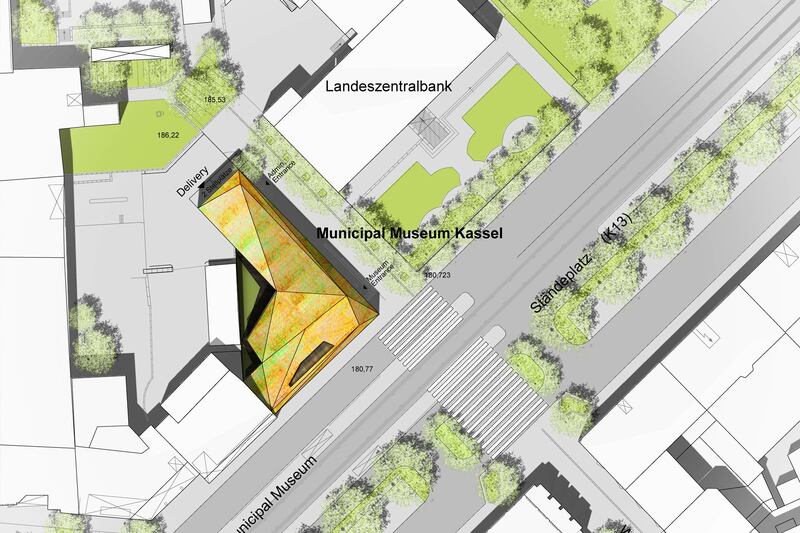 The extension of the municipal museum for the Documenta city Kassel evokes a special dichotomy: The new roof addition strengthens the position of the building within its urban context. 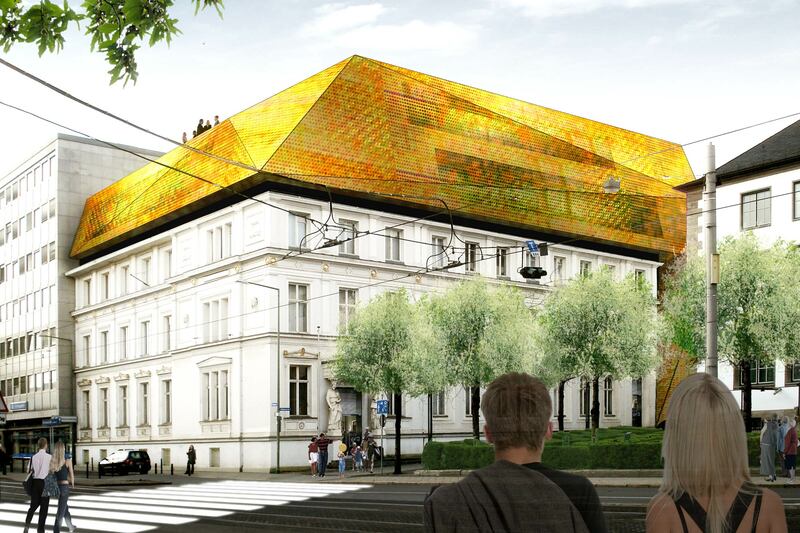 At the same time, the golden copper cladding of the new extension evokes a material reference towards Kassel’s historic architecture almost as the obviously new could have already been here. The shape of the roof results from the requirements of the spatial program applied in conjunction with local zoning laws as well as structural considerations. In the interior of the building, the existing post-war staircase and partition walls will be removed to achieve open and light spaces. Entrance, cashier, shop, information, and café are placed within a piece of single spatial furniture that organizes the open entrance level. A new central circulation opens the building and establishes a vertical axis that connects the different levels through an impressive void. The exhibition is organized on the three upper levels. The roof terrace adjacent to the bar and the lecture hall on the top-floor allows a grand view over the city of Kassel. The art installation “Fluxus” by the artist Stefan Sous, an illuminated crosswalk, guides the visitor over the Staendeplatz.